Not getting any younger, I have decided to apply my hand-quilting knowledge to machine quilting. I am having to remind myself that "Rome wasn't built in a day" and you know what they say about "old dogs learning new tricks". My progress feels a bit like watching grass grow. My learning is slow and methodical. Torn and rotary cut strips and accurately pieced quilt blocks in process. Strips pinned ready to stitch to make 9 patch blocks. Using sewing guides for more accurate piecing. 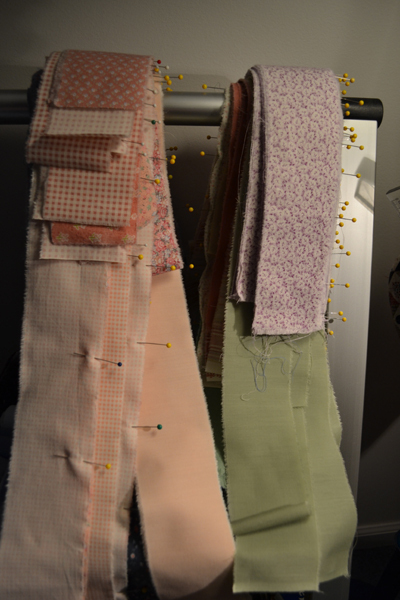 Again, use of guides to uniformly sew strips. Pressed alternate strips to be cut using a rotary cutter. Uniformly stitched 9 patch/ 9 patch quilt blocks. 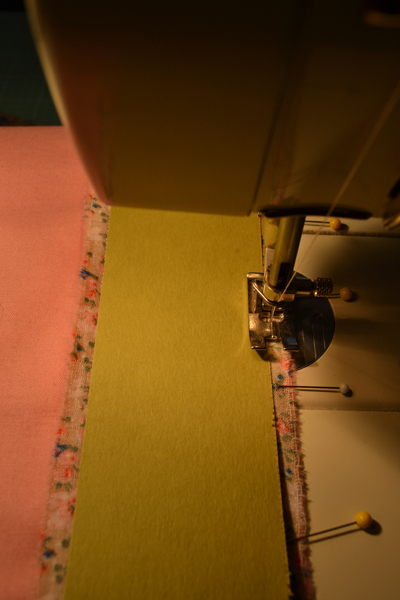 My first attempt at machine quilting on my old Bernina machine was done using a walking foot with the special Stitch-in-the-Ditch attachment . This is used to move both the top and bottom layer of material with the batting inbetween uniformly. I quilted each block individually and then joined their tops and batting and then finished their back seams by hand (Quilt-as-You-Go Technique*). Despite much care being taken to make my seams as flat as possible on their backside, I was less than pleased with the results. They didn't look like quilts I had seen in quilt shows!! 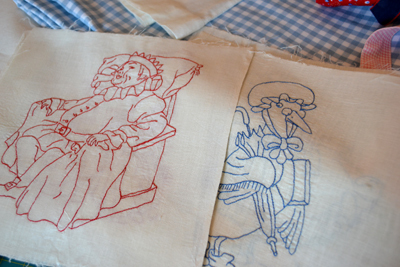 I am now going to cover them with sashing strips sewed to the back by hand. 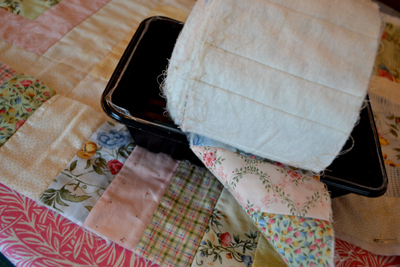 Is Quilt-as-You-Go machine quilting actually time-saving? I am not sure! 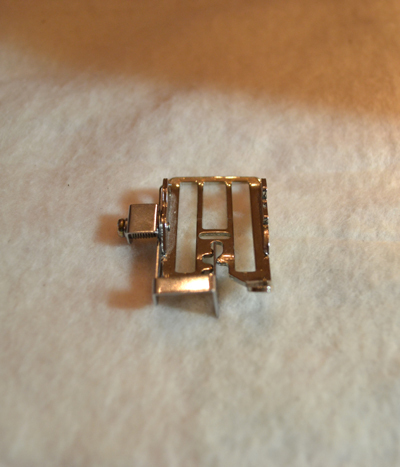 A Stitch-in-the-Ditch quilting foot. The bar in the middle follows the seam. Hand-sewn seams made for crooked machine quilting done on the back side. It wasn't my hand-sewn seams that caused the eyesores but rather the machine quilting over these seams. It was very hard to perfectly align front and back seams, so machine quilting them on the front side magnified this mismatch on the back. 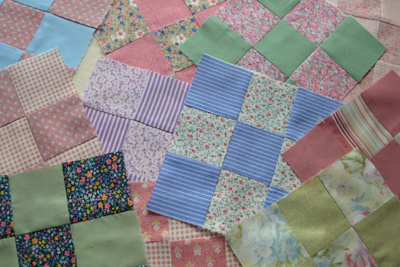 Quilt #2--A memory quilt: personal fabrics, clothes and quilt blocks. My next quilt (number two) is basically the same pieced pattern, but instead of quilting it block by block and then joining them, I decided I would sew the blocks into rows to then machine quilt them. I still ponder how to improve joining the rows in a way that won't involve having to cover my seams on the backside. I am also considering different quilting patterns that won't require quilting on or near the back hand-sewn seams. My friend's mother's hand-embroidered quilt blocks--too precious to NOT use. On this same quilt (number two) I wanted to do a special hand appliqued dedication. This is a scrap quilt top made from my friend's mother's materials. With the box of these materials came tiny baby clothes my mother's friend had made for her girls as well as precious hand-embroidered quilt blocks. 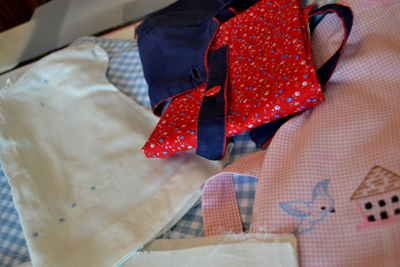 I will applique "a clothes line with these specially made clothes and little quilt hanging on the line" to the back and will embroider a dedication to her mother. I thought this perfect as my friend's mother was a woman that loved washing clothes and hanging them on the line. She never used a clothes dryer and loved to iron ALL of their clothes even as she aged. She was indeed a special mother that loved taking care of her family in domestic ways that have been lost in today's world!! Sadly, my creative ideas aren't equally matched to my primitive abilities in the world of machine quilting. This project has grown bigger, and so I have postponed its completion to allow my skills to catch up. My number three quilt will give me more practice so my friend's quilt will turn out better after a bit more practice, or at least that is my plan! Quilt #3: More practice using Stitch-in-the-Ditch machine quilting. Quilt #3: Quilting done through pieced edging and batting only. Quilt number three is a quickly constructed quilt top using a different but equally as simple straight-lined- pieced top whose blocks are joined using "sashing" strips. I wanted it to be a utility, everyday sort of quilt/comforter for our guest bedroom. 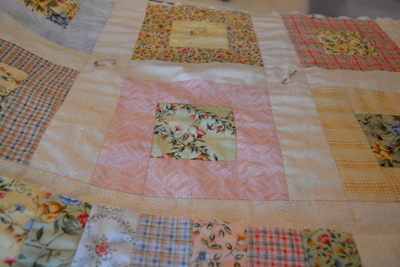 I wanted it to be extra puffy like a comforter but with the texture of quilting as well. 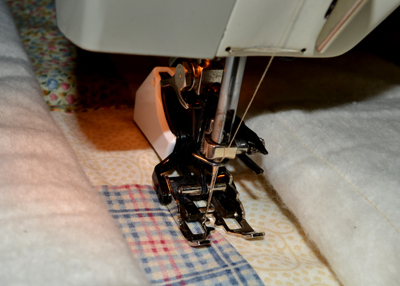 My solution for easier construction and quilting of a large double bed-sized quilt spread with high loft batting on my old basic Bernina was to machine quilt the top with a thin cotton batting and add a polyfill batting and backing to be tied, like I would in making a comforter. 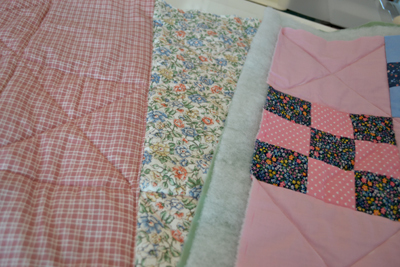 I am hoping that it will have a plump, soft comforter look with the look and texture of a true quilt as well. 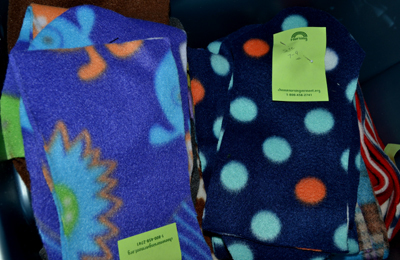 Being the only bedding besides sheets, the extra warmth will be welcome in our chilly or cold Vermont weather. This third quilt will give me more practice to perfect Stitch-in-the- Ditch style machine quilting, using Quilt-as-You-Go technique similar to what I would use on quilt number two, quilting it in strips. 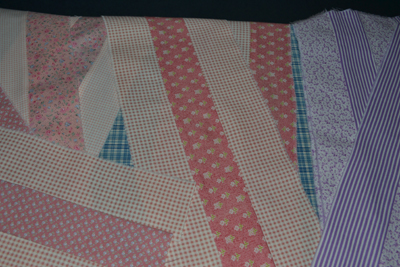 I am hoping that the joining of the strips will go more smoothly as I am not having to quilt through the backing too. The backing will be one whole piece, a technique that would perhaps work better on quilt number two as well. 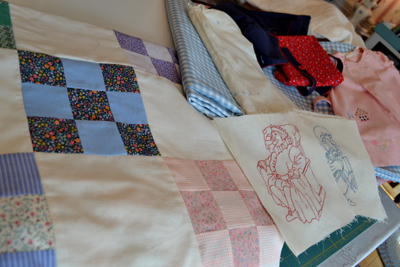 Whoever said quilting doesn't involve brains is quite mistaken and I am working at sharpening my brain and sweeping out any cobwebs from early dementia as I work out how to construct these quilts! Quilt #3: Machine quilting using Stitch-in-the-Ditch quilting walking foot. Batting is yet another consideration. On quilt number three, I am using a low loft cotton batting, ready for quilting (no pre-shrinking needed), and so far it is quilting easily, but is not producing the amount of "puff" texture that I would like. I did note that there is a thicker cotton pellon batting that would be easy to work with, but would require pre-washing, or so I have been lead to believe. Quilt number two is going to a friend in California. Adding a back and then appliqueing my dedication design on the back, may mean the thin batting will be more than adequate weight and the pellon batting perhaps too heavy for such a warm climate? I will finish quilt number three to see how the quilting looks as well as being sure that the combination of quilting and tying works before I make a final decision as to how I finish quilt number two. I do remember my other comforters and quilting experience from years ago. I sewed a beautiful comforter for my mother. 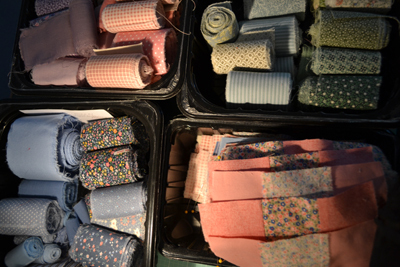 We decided that corduroys were especially rich in colors and would be beautiful all sewn together in a very simple multi-colored square patchwork. It was indeed beautiful, but I tied it with a fluffy high loft batting with a corduroy backing as well. It made for a sort of "sleigh-bundling quilt", guaranteed to keep you warm in an electrical storm with the furnace out, if not riding for hours in a sleigh on a cold winter day! Fortunately my mother used it on an an extra day bed that was only used by myself once. Its weight should have come with suffocation warnings, but was a definate cure for Restless Leg Syndrome! The jury is still out as to which machine quilting techniques will work best for quilt number two, except that it will be done in strips and quilted in a Quilt-as-You-Go* fashion. 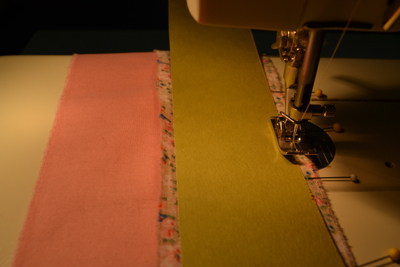 I am noting that machine quilting, while faster than hand-quilting, is still a lot of work!! And all of this was to facilitate finishing all my unfinished quilts I have started!! Did I mention (yet again) that I am not getting any younger? My three learning quilts have now been added to the list of quilts to complete!! Carpal tunnel and a painful trigger finger have been added to the equation. This sport of quilting is NOT for sissies!! 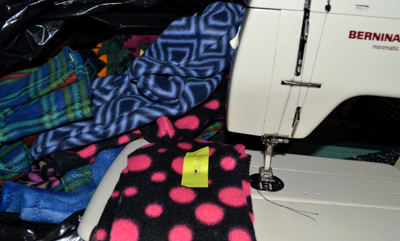 On The Side: Sewing fleece socks goes on throughout the year so that my inventory of three hundred pairs of socks will be ready for my shows late fall and pre-Christmas season. They help support my material addiction habits!! There is no rest for the wicked...and yet I no idle hands or mind to be wicked now! 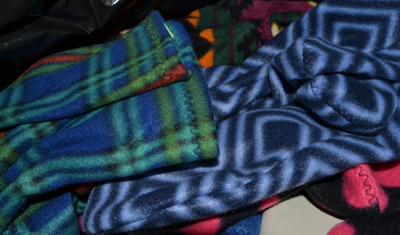 Sewing fleece socks--during my breaks from machine quilting. Stitched one sock at a time, I will sew 100+ pairs to add to my sock inventory. Pre-cut socks ready for sewing. No idle hands allowed at Little House! Labels: Machine quilting techniques; Quilt batting choices.